Norwich Cathedral has stood for more than 900 years as a Christian presence in the heart of Norfolk, England. It serves the Church of England Diocese of Norwich, covering most of Norfolk and part of Suffolk. It is one of the most complete Romanesque churches in Europe. Founded in 1096 by Bishop Herbert de Losinga, it was a priory of Benedictine monks until the dissolution of the English monasteries in 1538. 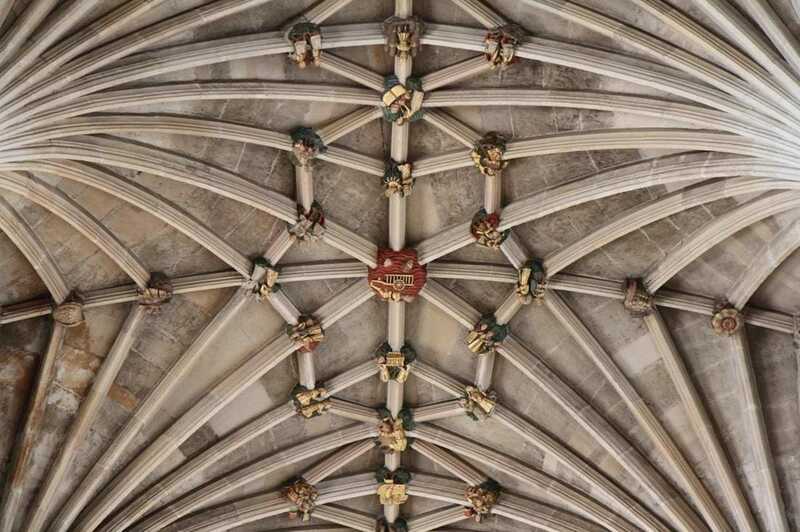 Although there are no longer any monks, the ethos of this tradition is a continuing influence on Cathedral life. In the early Middle Ages, East Anglia was the most densely populated and wealthiest region of England and until the 18th century the city of Norwich was second only to London. Much of that wealth is evident in the city's 35 remaining mediaeval parish churches and in the more than 600 mediaeval parish churches in Norfolk. ​Since the Shrine was restored by both Roman Catholics and Anglicans in the 20th century, Walsingham has recovered its pre-eminence, being voted in 2003 as Britain’s ‘favourite spiritual place’. In 2013, Norwich joined the Green Pilgrimage Network, launched at Assisi, Italy in 2011, and is also a member of the new European Green Pilgrimage Network. 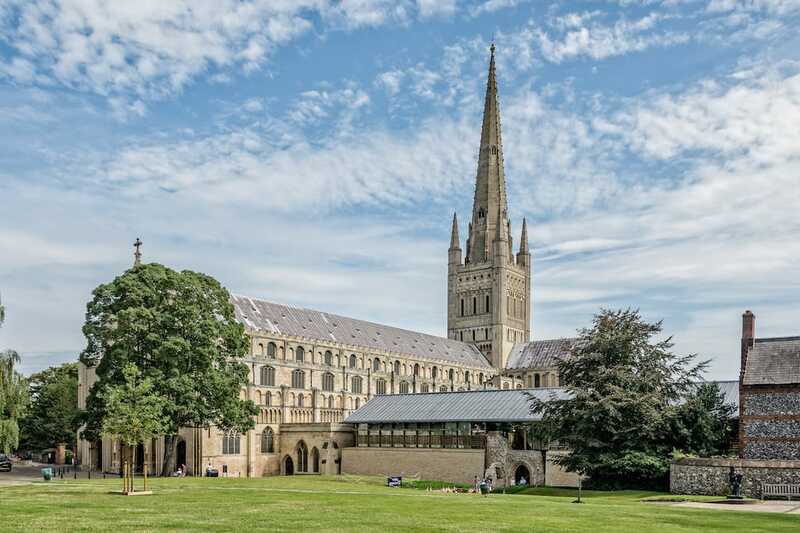 Norwich Cathedral, as a member of both the Green Pilgrimage Network and the European Green Pilgrimage Network, is committed to recovering the traditions and practice of pilgrimage in East Anglia and to encouraging sustainable spiritual tourism. Norwich Cathedral is working to renew walking pilgrimage to Walsingham, together with Norfolk County Council, the Anglican and Roman Catholic shrines, the Roman Catholic Cathedral of St John the Baptist, and local parishes, landowners and businesses. Spirit of ​Jesus Christ our Lord. Norwich's first pilgrimage trail honours the heroism and Christian witness of Edith Cavell, a pioneering nurse executed in Belgium in 1915. Born in Swardeston near Norwich in 1865, Edith Cavell left Norfolk and trained as a nurse from 1895. She directed the first professional school of nursing in Belgium in 1907 and, after the outbreak of World War I, nursed soldiers from both sides of the conflict. For nine months she worked with the Belgian and French resistance to shelter well over 200 soldiers from the German occupying forces, helping them escape to neutral Holland. Edith Cavell was reburied at the Cathedral in 1919. A walking/cycle route has been designed between Swardeston and the Cathedral, which includes significant locations Edith would have known in her early life, as well as her final resting place. ​for he himself will say: ​'I was a stranger and you welcomed me'. Norwich Cathedral is also working to renew walking pilgrimage to Walsingham, in partnership with Norfolk County Council, the Anglican and Roman Catholic shrines, the Roman Catholic Cathedral of St John the Baptist, and local parishes, landowners and businesses. Raise funds to support this research; the presentation of heritage associated with Walsingham Way; the signposting of the route for public enjoyment. ​Engage the widest public through education, appreciation of heritage, recreation, and promoting well-being and health through participation in pilgrimage. Work with partners in local parishes along route who wish to engage in outreach and offer hospitality. Build partnerships with local businesses and institutions for the creation of an infrastructure for a local sustainable tourism economy. The European Inter-regional funding award means we will be able to work with European pilgrim places and regions, particularly in Scandinavia, to learn from best practice. ​This includes, for example, best practice in route creation, maintenance, signposting, the generation of local jobs and income, and digital innovation.